In my ninth grade Social Studies class I wrote a paper arguing that abortion should not be legal in the US. It was Spring 1979 – just six years after the Supreme Court’s Roe v. Wade decision. I was 15 and had grown up as a Christian. That God was “pro-life” seemed prima facie long before I knew what that Latin phrase meant. After all, wasn’t “thou shalt not kill” one of His Top Ten rules for living? But there was a problem: The more I researched constitutional law, the harder it was to find a compelling legal argument to overturn Roe v. Wade, much less to adopt a constitutional amendment banning abortion. That paper forced me into the dilemma of arguing for a law that fit my faith, but not my citizenship. It was one of my earliest shifts away from a black-and-white, right-and-wrong mindset. Last week, the ugly reality of our nation’s ongoing struggle with race again came to the forefront. The facts in the incidents are more than any of us will ever know or comprehend, but that won’t stop most of us (me included) from forming uninformed opinions. Just take a glance at social media and you’ll see what I mean. Black lives matter. Police lives matter. White lives matter. Babies’ lives matter. Women’s lives matter. Well, of course. But when we hear one of those lines—Black lives matter. Women’s lives matter—and respond with another—All lives matter. Babies’ lives matter.—we’re just using our mouths instead of our ears… our heads, not our hearts. We’re not listening. When I was writing that abortion paper, I learned about something else that matters: words. You see, I called myself pro-life, but people on the other side called me anti-abortion; they were pro-choice, but my side would call them pro-death. We said we cared about life, yet too often showed little concern for the life of the mother; they said they cared about the woman, yet showed no concern for the life—or even potential life—growing inside her. It was a war of words. Whatever you think of the movement, the words themselves matter: black lives matter. And, with help, I found that when I would respond to that cry with a trite, “all lives matter,” I was only proving that black words didn’t matter to me. And that meant something needed to change: me. Saying “black lives matter” shouldn’t just mean that cops need to stop killing black people. Saying I’m “pro-life” shouldn’t just mean that we need to stop killing babies. If lives matter…if life matters…then we should value those lives, their worth, their joys, their pains, their struggles…. If words matter, then maybe we need to start listening to them. This entry was posted in action and tagged black lives matter, listening, police, race on July 11, 2016 by Randy Ehle. What Do You Do When God Says “Wait”? Photo courtesy of freefoto.com. Used by permission. One recent afternoon, road construction turned a ten-block drive in downtown San Diego into a thirty-minute adventure in impatient frustration. The following Sunday our pastor mentioned a smartphone app that not only guides drivers from point A to point B, but also suggests the best route given current traffic conditions. I readily downloaded the app. 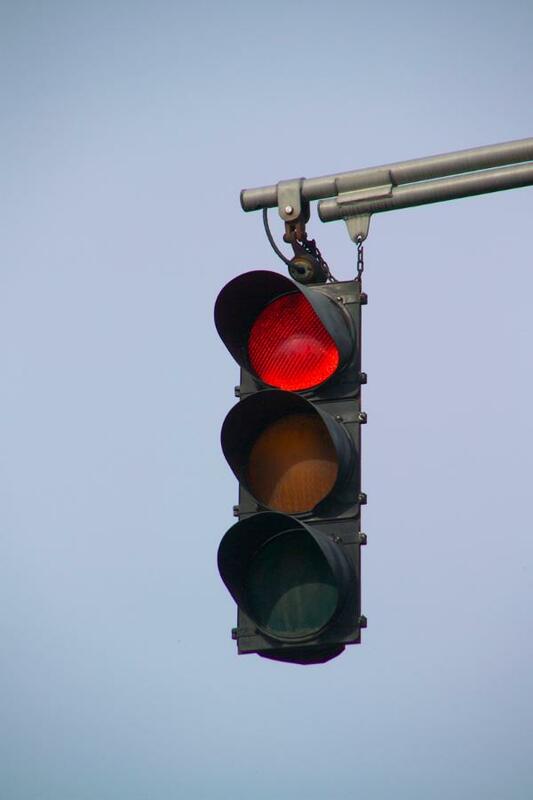 You see, I don’t much like waiting; anything that will keep me moving more and waiting less is worth trying because unless I am feeling particularly patient, I would rather keep moving then sit at a stop light. Obviously, any movement is progress, right? The same rule tends to guide my life outside the car: movement equals progress; sitting still is bad. But sometimes—and probably more than I realize or would admit—moving forward merely gives the illusion of progress. Sometimes, in fact, it is impeding the progress. And that principle, too, applies to life outside the car as much as it does to navigating congested streets and highways. 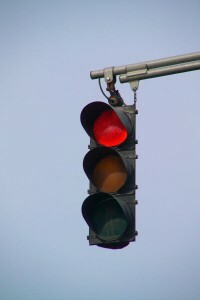 For a while now I have been living at a stop light, waiting for it to change. I don’t like it. I have had a couple opportunities to turn but that didn’t seem the right thing to do so I just sat here, waiting. I have also tried to inch forward a bit—you know, like you do in the car when the light seems to be taking too long; you think if you move the car forward, it will be sort of like raising your hand to an inattentive waiter at the restaurant…you will catch the light’s attention and it will change. That works better with waiters than with red lights, by the way. I tried mapping a different route, too; not much different, just a parallel street a block over. But the light stayed red and then I noticed the “no turn on red” sign. So I just sat here, waiting. If I only knew what God was up to, why he has me sitting at this red light, then all would be well, I could wait in patient peace. At least that’s what I tell myself. And so I sit here, waiting. This entry was posted in action, grace, peace on February 14, 2015 by Randy Ehle. I confess that I have had, since I was a boy, a “savior complex”; it’s tied in closely to my Type-A, take charge, “doer” personality, so when I see things going on around me and something needs to be done – like the wildfires in Southern California – I want to kick it into high gear. Despite the fact that I grew up in a Christian home, with parents who have dedicated their lives and careers to faith-based ministry, I have somehow never felt that prayer was doing. It’s always seemed like what you do when you’re waiting to do something real, or when you can’t do anything else…sort of a time-filler, not really “doing” anything, just waiting…and wishing. How might we mobilize ourselves, our professional associates, our clients…and their extended resources…to be of service in these fire-devastated areas? I’m open to your thoughts…and your prayers. This entry was posted in action, prayer, relief on October 24, 2007 by Randy Ehle.